One of the best parts? It sells for ONLY $27.95- including the videos! That is an amazing price! Included in the printed book is an extensive glossary with terms, symbols, squares and square roots, and a ‘Formulas’ page. Then come the solutions--- see? I told you it was affordable, no need for a separate Teacher’s book! I was actually shocked at how low the price was because I didn’t look at that until Emily had done several days’ worth of lessons, and we had both been impressed by the videos. Emily said “He makes it easy to learn.” Each student will vary on the amount of time they’ll need to master a new concept, but I would say most will be able to complete a lesson in 35-45 minutes because the concepts are presented so well. The first chapter is a review of all of the basic math skills that are necessary to begin Algebra. Spend as much time as you need reviewing this chapter with your child, because it truly is the “essentials.” Once they’ve mastered it, move on to chapter 2 and the Algebra begins. The book has 10 chapters, and even includes Algebra word problems, something that often stumps people. So why not learn alongside your student, and cover those things you never really grasped, or have forgotten? 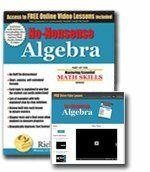 You could probably find a cheaper Algebra book to use if you really searched, but it would not include the videos, which I would say are “priceless.” In the past I have tutored others in Algebra. When you figure tutoring runs $15-$20 an hour, you can see why I’m recommending this resource so highly. I would have expected it to cost at least $140, not less than $30! The only drawback to this I can find...He hasn’t written Algebra II yet! 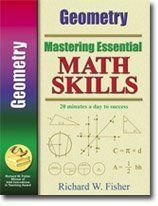 The Mastering Essential Math Skills program also includes books that focus on helping with the basics for 4th/5th grade and Middle School/ High School, or Pre-Algebra. So if you’ve been using a different curriculum, or your student seems ‘lost’ in that big book they brought home from school, there is an economical solution. You can also get books that focus on Decimals and Percents, Fractions, or Geometry. These additional books cost between $11.95 to $15.95 each. We received the Geometry book. It starts out rather basic, and builds, just like you’d expect from a quality math book. While it only has about 60 pages of basic geometry (no Pythagorean Theorem or proofs here,) it covers all the things your child should have learned about Geometry through the Eighth grade. I’d give the Mastering Essential Math Skills program an A+! 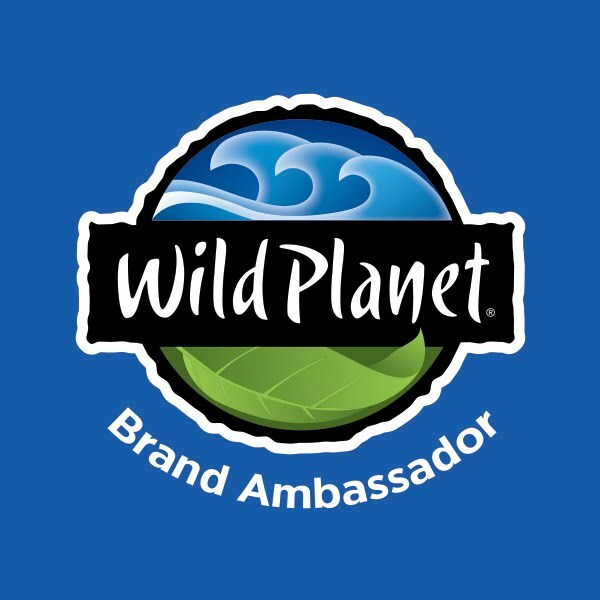 If you decide to try it, rest assured, they offer a 30 day risk-free guarantee. That is quality service with a smile! As members of the TOS Crew, we received these books free of charge in exchange for an honest review. All opinions are ours! Each of the 4 major sections of the printed book (Ancient World, Medieval World, New World, and Modern World) includes age appropriate Lesson Plans to help you plan your geographical trek through history. The book concludes with maps of each of the U.S. states and facts relating to their statehood. One particularly interesting map (to us) is on page 192 that shows the order and dates the southern states were re-admitted to the Union after the Civil War. Since we've been studying the war for a while, these dates show just how long the beginning of the reconstruction process took, and have given us more to think about. Four years at war, eleven to try to rebuild, and areas and people that still struggle today with what happened 150 years ago. This resource is also available as a digital download (each of the 6 e-books individually-the 4 mentioned above, plus U.S. maps, plus blackline maps- or as a bundle for $47), so you can pick and choose which maps to print, and which ones you just want blacklines of for your students to practice their geography skills on. I prefer the printed, bound version ($55 with a CD-Rom of the blacklines in the back), because I find it easier to pull off the shelf and flip through to find the map we're needing than to pause whomever is using the computer so we can find what we need on the hard drive. Whichever version you chose, I think you too will find that this resource blends rather seamlessly with many History curriculums available today. Aren't there times you just wish you could give someone $5 to find the answer for you? Well, invest those $5 times into the answers found in this resource. 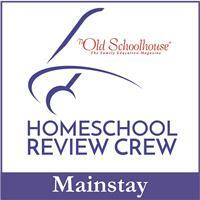 Private school, public school, or Homeschool family, this collection is an investment in understanding. Isn't that the real reason for studying History anyway? So the next time you child asks "Mom, where's Mesopotamia? I can't find it on the globe!" You'll be glad you spent the time to order your copy. Final thought? Now I finally know where 'Kush' was! Enjoy your travels! As a member of the TOS Crew, the printed, bound copy of this resource was provided to me free of charge in exchange for an honest review. All opinions are mine. We used their Early to Mid 19th Century British Literature book during this review. http://www.hewitthomeschooling.com/Materials/mItem.aspx?id=8074 Even though Emily will only be a 9th grader, we chose one of the courses suggested for 10th grade and up because she had already read many of the selections in their 9th grade recommended courses. If your student has been reading a lot of Living Books and/or you tend to educate Classically, you will want to pay special attention to which books are read in each course when making your selection. First off, I will say, this course was laid out in a way that the parent has to do very little other than grade the papers. I appreciate that because there always seems to be something else on my to-do list, or her younger sister is asking for help with her work, when it is time for Emily to do her Lit assignment. I appreciate High School level courses that allow the student to take the responsibility upon themselves, preparing them for life after High School, and this fits that bill. The Student book starts with a rather lengthy ( but worthy) introduction section which was a great reference for Emily to look back through before coming to ask me a question. It covers all of the basics that they will encounter in the course including: how to read poetry, explanations of syntax, simile, metaphors, alliteration, and meter (to name a few!) It also goes rather in depth on how to write a quality paper using an outline, steps to follow, and includes a check-list for the student to use when checking their own papers before telling Mom or Dad "I'm done!" This course was laid out into 4 units, with a total of 8 lessons. The first lesson focused on some of the poetry of William Blake. After reading several poems, ad answering the Comprehension Questions, teh Writing begins...there are 6 writing assignment in each lesson. I chose to have Emily complete 3 of them. One of the ones she chose was #5, to write a poem at least 12 lins long describing an issue that is important to her. 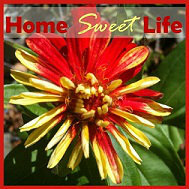 Here are a few lines from her poem "Summertime"
Hot, hot sun and cool tree shade. A great big novel and a comfy nook. Large umbrellas and beachy places. The second lesson has the student reading Jane Austen's "Pride and Prejudice." While I did appreciate that there are comprehension questions for every few chapters so the student doesn't forge the story, it did seem a bit much. Emily is used to narrating what she has read "re-telling the story" in her own words, so the plethora of questions seemed a little overdone. If your student is used to lots of comprehension question- great, if not, you'll need to work out your own system for covering this part. After the q's there is a nice, in-depth section for the student to read about "characterization" and the differing ways authors use it. This is ideal because the Writing Assignments ask the student to use characterization in its different forms. The Teacher's guide is about 80 pages. It has basic answers to the many, many comprehension questions ( just in case you've got other things to do, like cook dinner instead of reading Jane Austen-LOL!) It also has a great outline sheet for grading the writing assignments, and many helpful tips for what to look for in your student's papers. It is definitely worth the $2.95 price just for the grading tips! Hewitt offers many purchase options, from just the student book, to a package (with a 10% discount) that includes Student & Teacher books plus all 4 full-length books your student will be reading. The complete package for the course we reviewed costs $48.36. 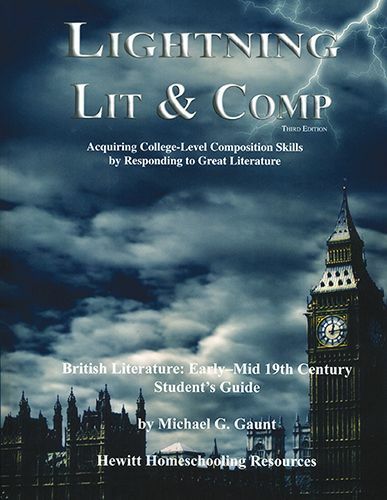 If you're looking for a quality Lit course that your student can do mostly on their own, this would be a good option. While some people may just hand their students the novels and tell them to read them, I think there is great value in the specific literary terms, ideas, and assignments in this course. High School is a time to prepare for life, whether college or career, and the requirements of learning to write well and follow instructions carefully can both be learned through this course. As a member of the TOS Review Crew, we were provided the Teacher's & Student's books for this course free of charge in order for an honest review. All opinions are mine. Hello everyone! If you're wondering where we've been...well, it's 4-H time in our house. If you've been involved in 4-H, that probably doesn't need much explanation. If not, here's a little snippett: 4-H is a wonderful program that teaches youth (grades 3-12) new skills, how to complete a project, and lots of other things. When it's almost 4-H fair time, the kids get their projects ready and take then to judging. In our county, we have open judging. That means the 4-Hers get to meet with the judges while their projects are being evaluated (sewing seams checked, cookies tasted, lambs checked for form, etc.) We really enjoy this part of the process, for it gives the kids a chance to talk about their project, and explain any special steps they took to achieve their results. This has one drawback... your 4-Hers almost always have their projects judged on different days. So beginning last Thursday, and going through this Friday, there are specific projects judged each day. So the girls and I will make a total of 6 trips to the 4-H grounds (about 15 minutes away) over 5 different days. So maybe now you see why I've been away from the computer :) !!! Anyway, I hope you each had a memorable Independence Day with family and friends. We were blessed to be invited to two different cookouts over the week of festivities, and had a great time with our friends.